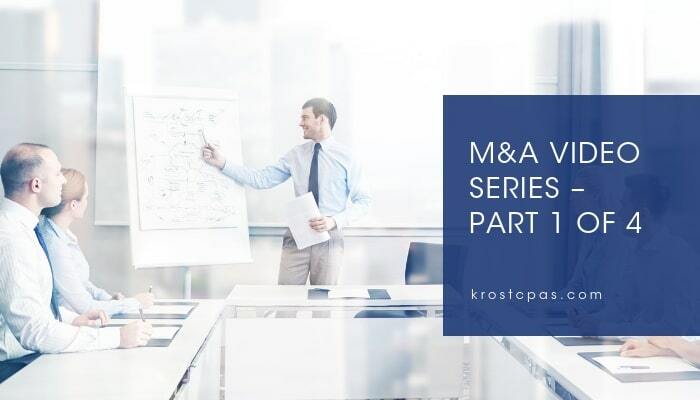 KROST can assist in the mergers and acquisitions process, whether your company is selling, buying, financing or re-capitalizing, to ensure your goals are met. Whether it is strategy, planning, or execution, our comprehensive process and hands-on services provide companies, management, and shareholders with step-by-step guidance, from pre-planning to the finish line and beyond. No matter the circumstances, our team of specialists has the knowledge, experience, and market presence to support you. In our M&A video series, we have Paren Knadjian share his experience and expertise in mergers and acquisitions. Paren’s extensive knowledge is a great addition to our award-winning, local accounting and consulting firm. Watch part 1 of 4 to learn more about Paren and his experience in M&A below.